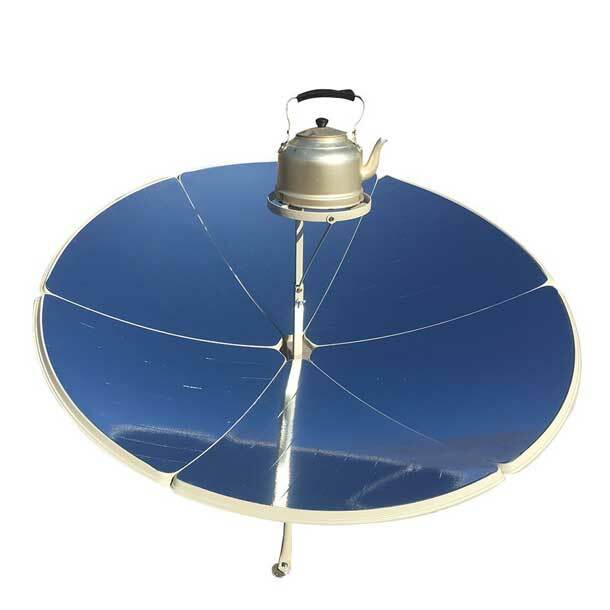 Here is another solar cooker you can use to boil water and cook your meals with sunlight. 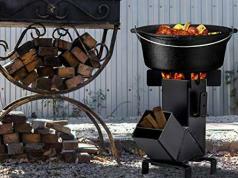 The Vogvigo Portable Solar Cooker can reach temperatures comparable to kitchen ovens. 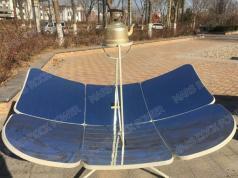 The heat can be controlled by adjusting the reflectors. The cooker has a reflector area of 1.5 square meters. It weighs only 37lbs.